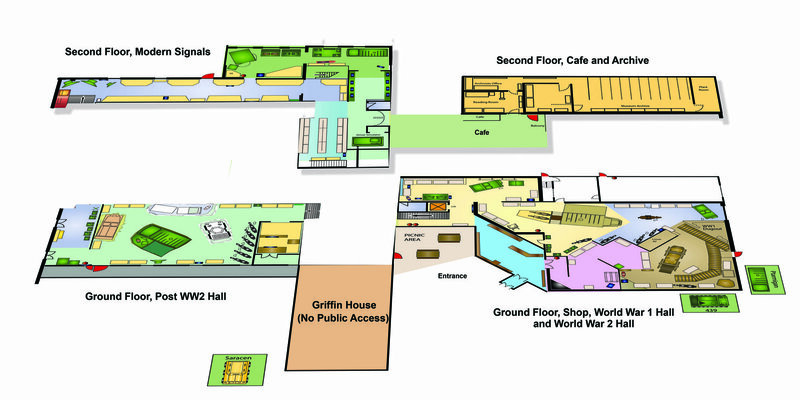 Click on the floor plan to explore The Museum and plan your visit. 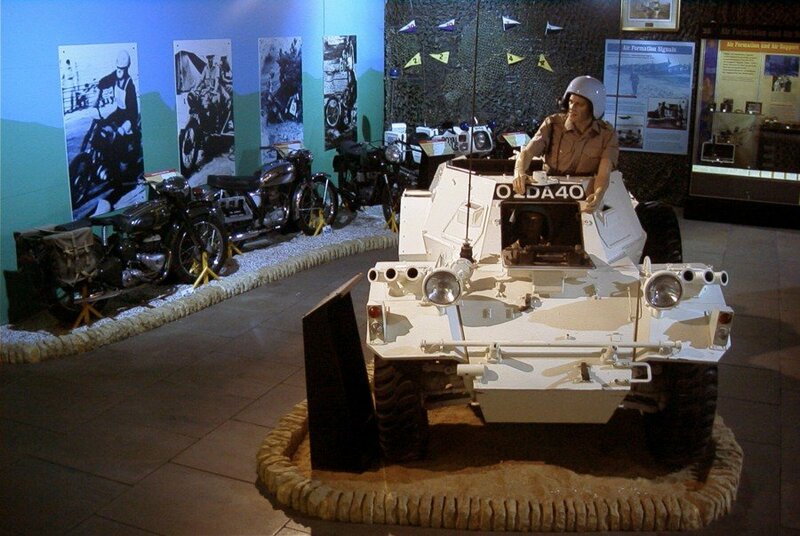 The Museum is situated on a working Army Camp. Valid photo ID is required. No ID, sadly no admission. We look forward to welcoming you at The Museum. 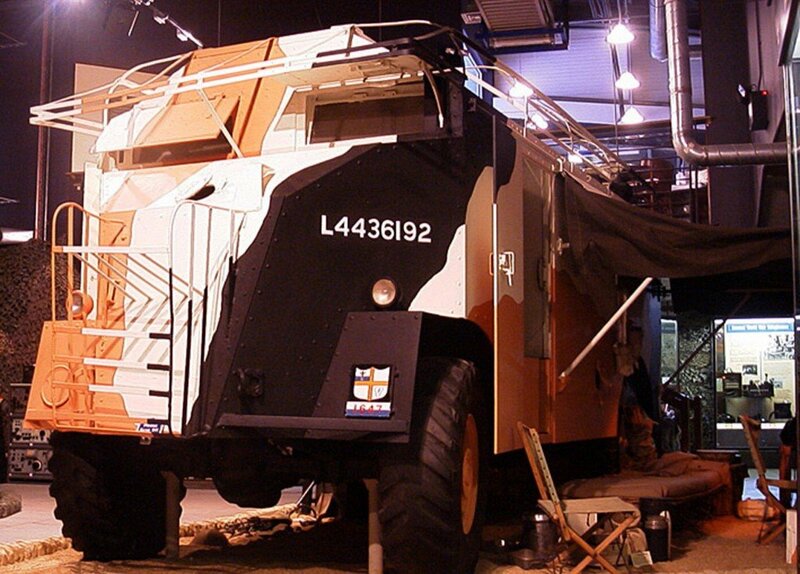 The Saracen Armoured Personnel Carrier was used extensively throughout the military. It was often seen on the streets of Northern Ireland during the height of the troubles. Variants of the FV 603 model included radio or command fitments and specialist equipment for Signals use. The Museum's 1940's style cafe, serves delicious hot and cold food and beverages. A genuinely warm welcome awaits. 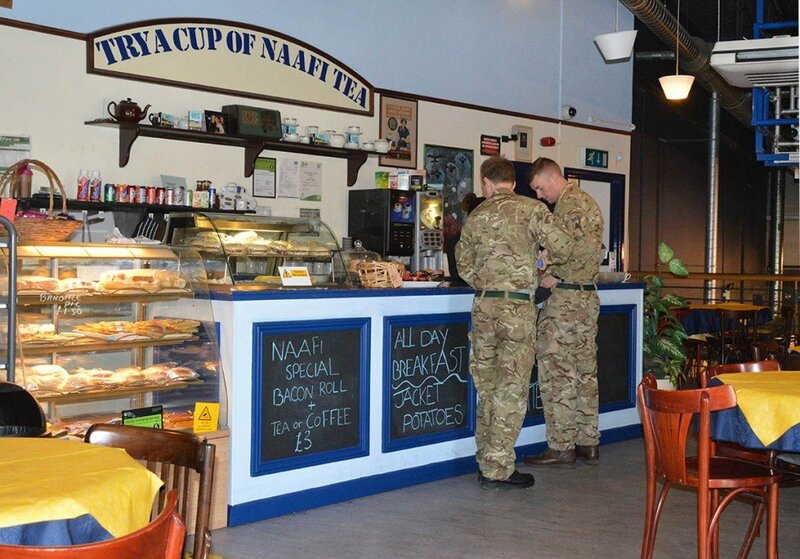 Who knows, you may even see some of the regular soldiers who often drop by for a quick brew. The museum is proud to have Monty's ACV among its very many attractions. Field Marshall Montgomery's command included the famous Battle of El Alamein, a turning point in the Western Desert Campaign. On 4 May 1945 Monty took the German surrender at Lüneburg Heath, Germany. After the war he became Commander-in-Chief of the British Army of the Rhine (BAOR) and then Chief of the Imperial General Staff. Find out more about his amazing work when you visit The Museum. The Museum is a wonderful place to visit but no trip is complete without a browse around The Museum Shop. 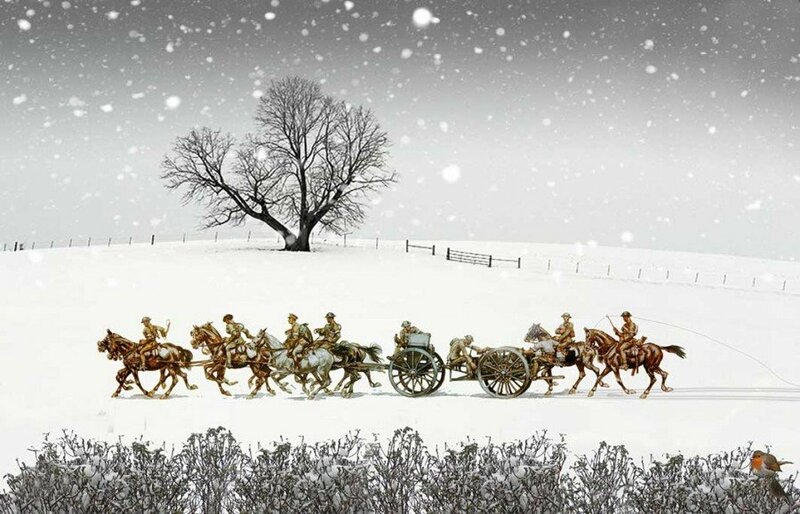 There's a terrific array of Royal Signals and military memorabilia as well as museum souvenirs. The Museum has an extensive library and archive which are open to the public but strictly by appointment only. 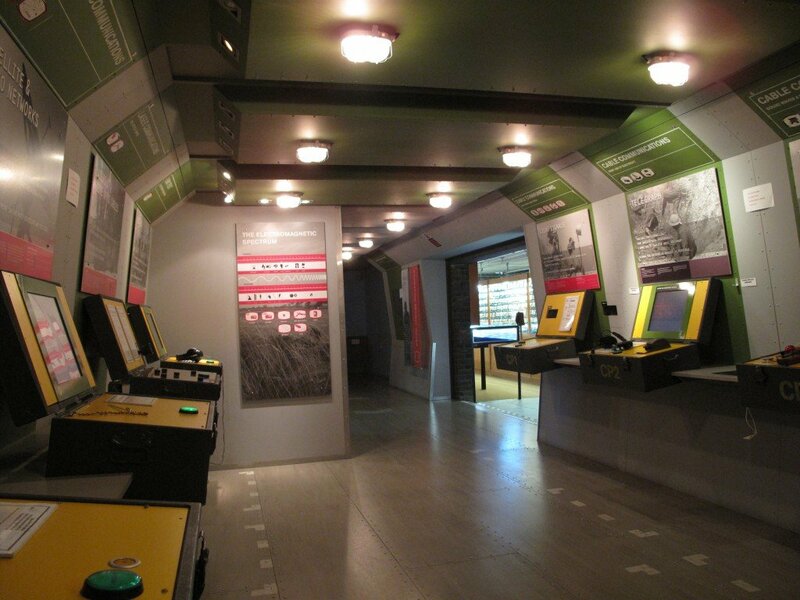 Experience life in Afghanistan with this replica operating base. Keeping Commanders in touch means The Royal Signals are always one of the first into a conflict and one of the last out. Learn about the essential and vitally important role played by The Royal Signals. 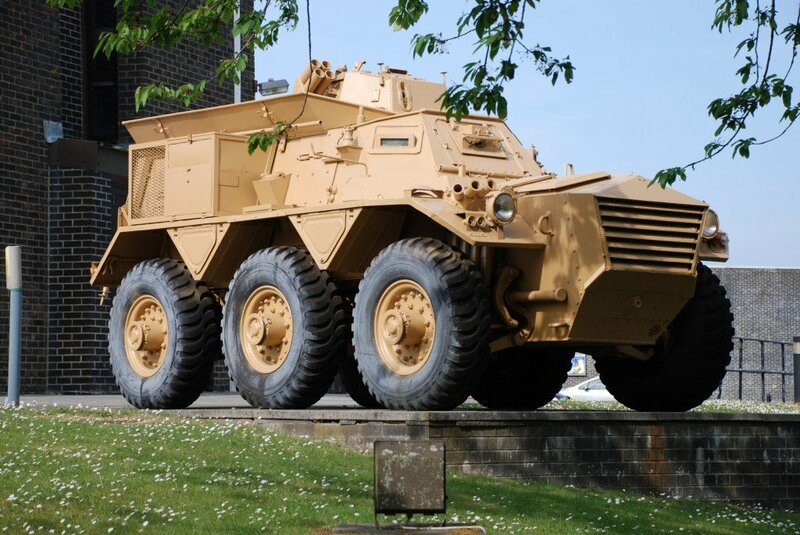 The Ferret armoured car, or Ferret Scout car as it is more commonly known, is a British armoured reconnaissance vehicle produced between 1952 & 1971 by Daimler. 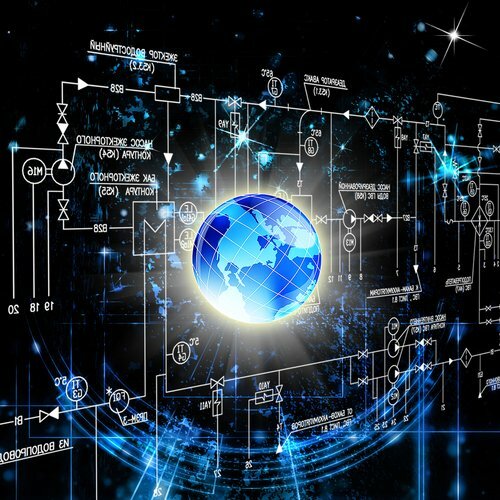 Ptarmigan Area System was an encrypted, digital communication system which linked data, telephone and radio communications over a wide area. Used extensively in BAOR, in its day, it was very much at the cutting edge of technology. 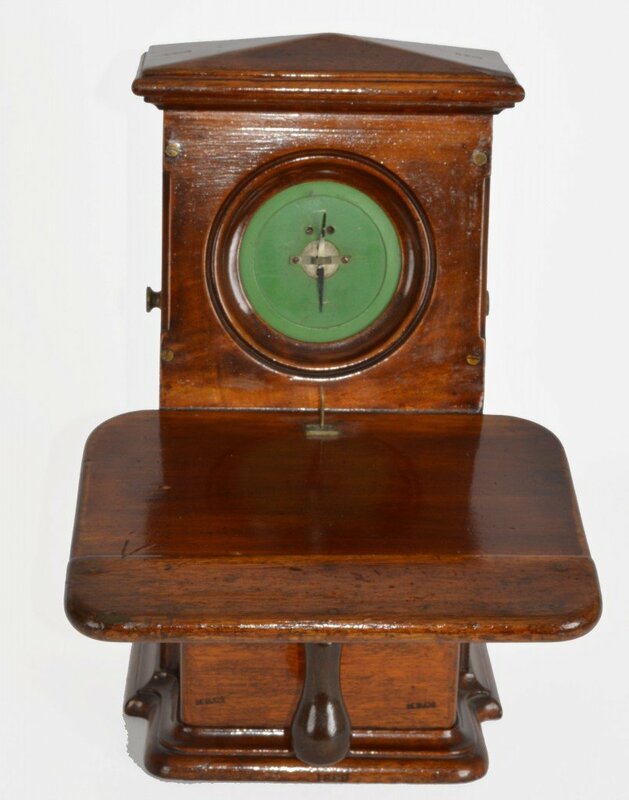 Ptarmigan was easy to use and maintain and included the the first direct dial digital mobile phone system in the world. Supplied by The Plessey Company and supported by SELEX Elsag of Christchurch, the technology used to develop Ptarmigan was later used to develop mobile phones. The Museum is home to the world's only remaining Cable Wagon. In service from 1911 to 1937 it was used extensively in WW1 when communications depended on laying 'Line' and repairing it under fire. Winnie The Pooh creator AA Milne wrote of his experiences of laying line. 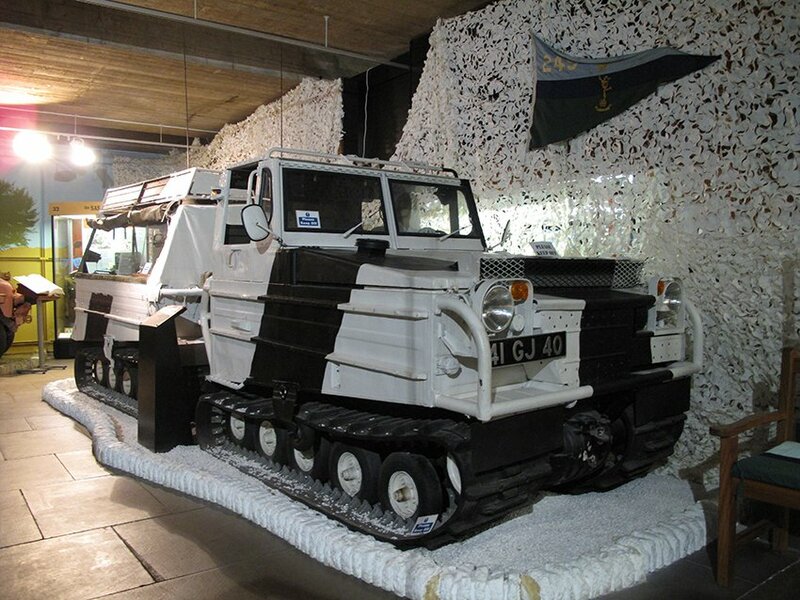 The Snowcat is a communications vehicle used by The Royal Signals until 1981. 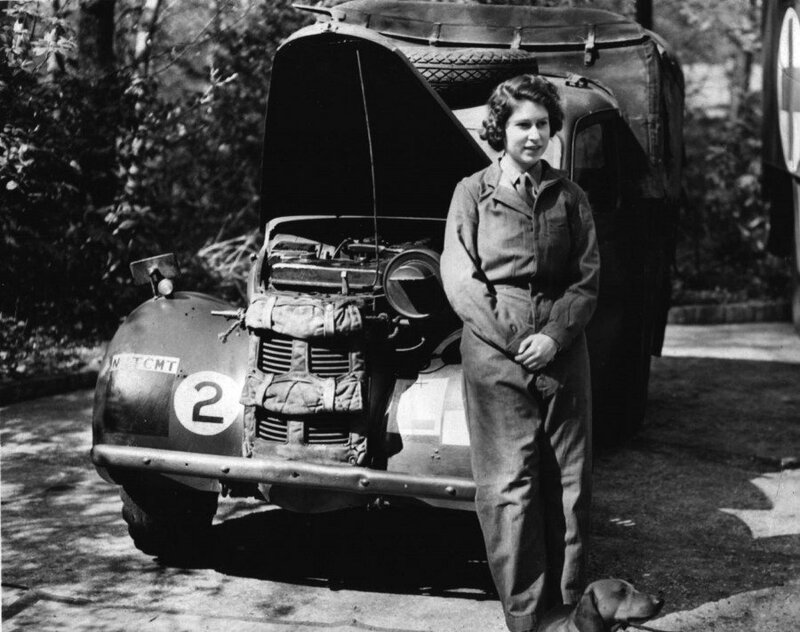 The one in the Museum is similar to that driven by Princess Anne (now Princess Royal) when she visited Blandford Camp in 1970. Take a look at this article on our Colonel-in-Chief to see video footage of her taking the wheel. Are you up to the challenges that face The Royal Signals? Find out when you explore our hands-on, interactive gallery - lots of fun for the whole family. 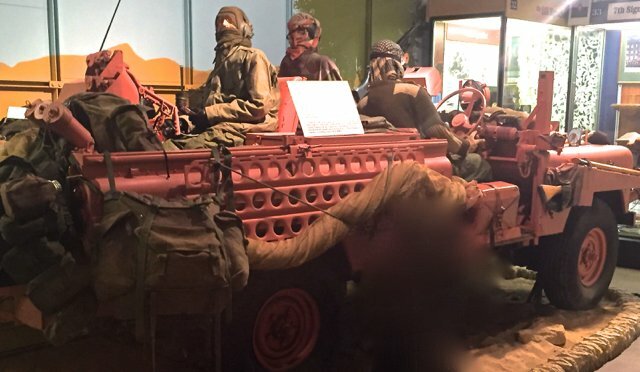 With particular concentration on The FANYs Special Operations Executive (SOE) and ‘Y’ Service, the Women at War exhibition illustrates the essential ‘front line’ role of women during the war, including many covert operations. The exhibition also examines their role in peacetime civil emergencies. 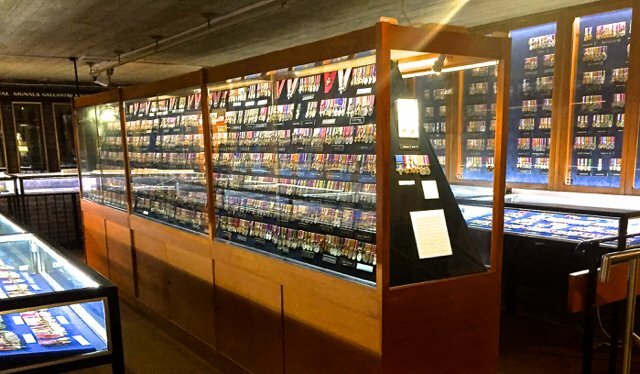 The Museum has an extensive, part-searchable medal gallery. Medals include the George Cross won by Signalman Ken Smith. On 10 January 1945, he saved a family on the Island of Ist in the Adriatic (off the coast of Yugoslavia)by removing a bomb from their house. The bomb exploded as he left the building killing him instantly. 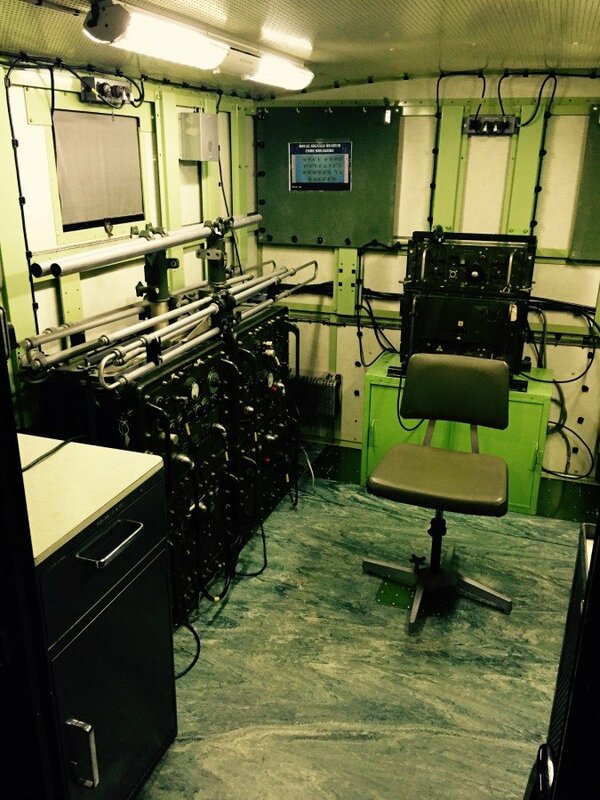 Explore the high-tech, secret world of electronic warfare and Electronic Counter Measures. This revolutionary instrument transformed communications, enabling messages to be transmitted automatically and within minutes. 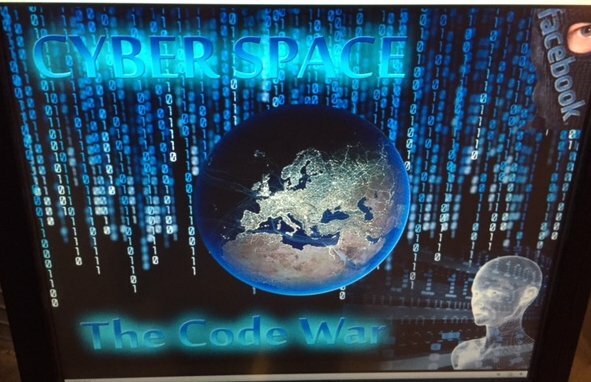 A look at cyber crime, cyber defence, viruses and threats. Intercepting the enemy, analysing enemy communication nets. 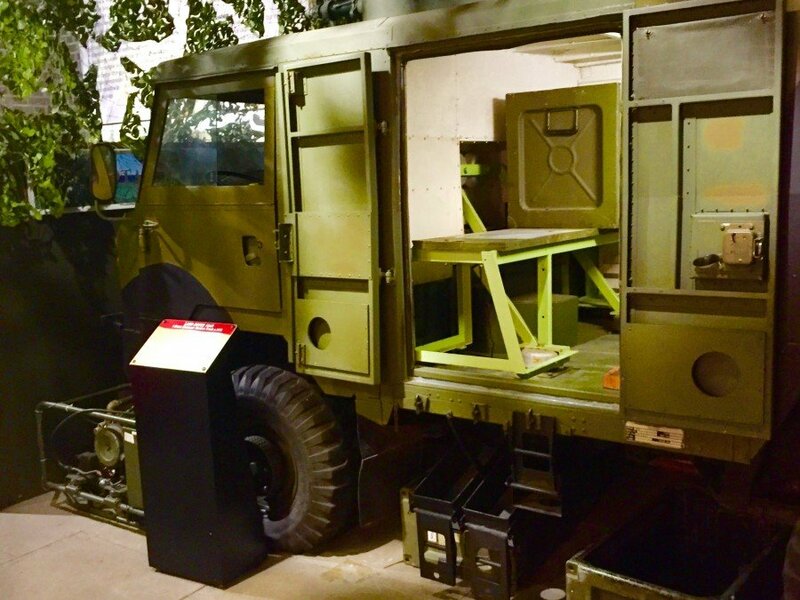 Developed in the late 1960s with a top speed of 79mph (127kph) and used by 14th Signal Regiment, this Electronic Warfare Pilot Vehicle could tow a 1.5 tonne powered axle trailer. 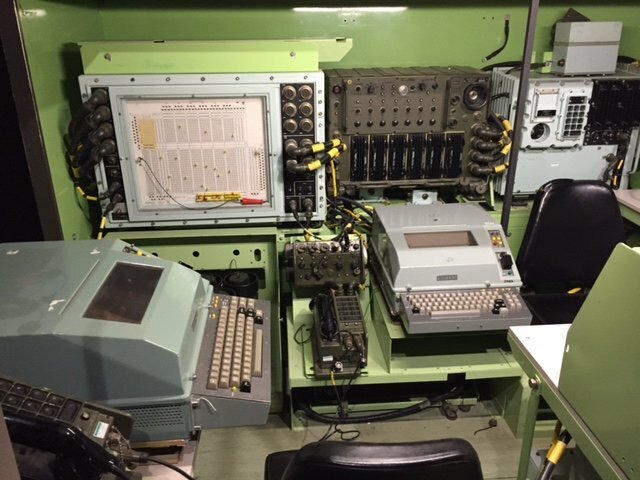 This is just one of many Electronic Warfare (EW) exhibits on display at The Museum. The 1-ton container was designed to be transported on a flat platform, though it can be readily loaded into an aircraft or removed from the vehicle to the ground or to another vehicle. It is constructed from aluminium and can be fitted with air conditioning equipment or pressurised for protection against nuclear, biological or chemical weapons. The radio relay equipment in this vehicle is a C41 / R222 ACT 1+4 No3 radio relay terminal. 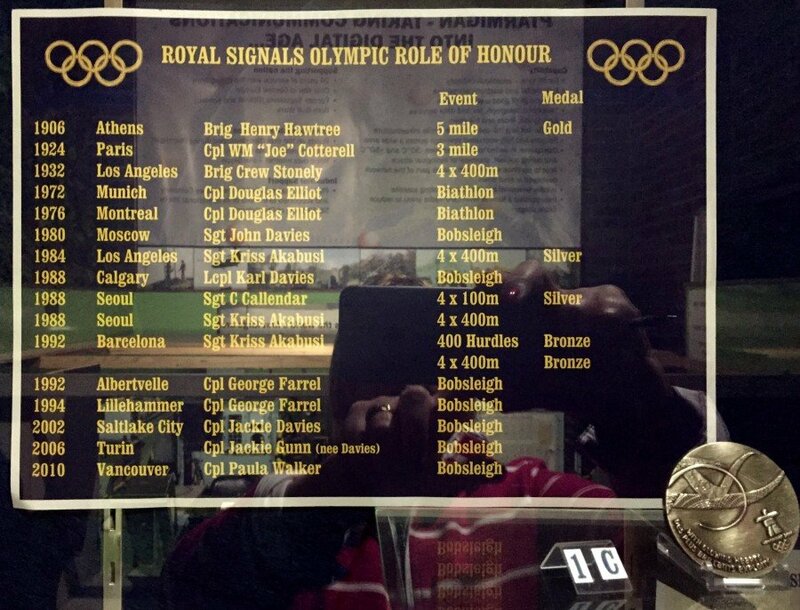 The Royal Signals has a long and proud sporting history. The first Olympian was Brigadier Henry Hawtree who won gold in the 1906 games held in Athens. More recent Olympians include winter Olympian Corporal Paula Walker who competed in the 2010 and 2014 games held in Vancouver and Sochi respectively. Like so many in The Royal Signals Paula Walker also competed for The Corps and for the Army in sports as diverse as badminton and rugby. 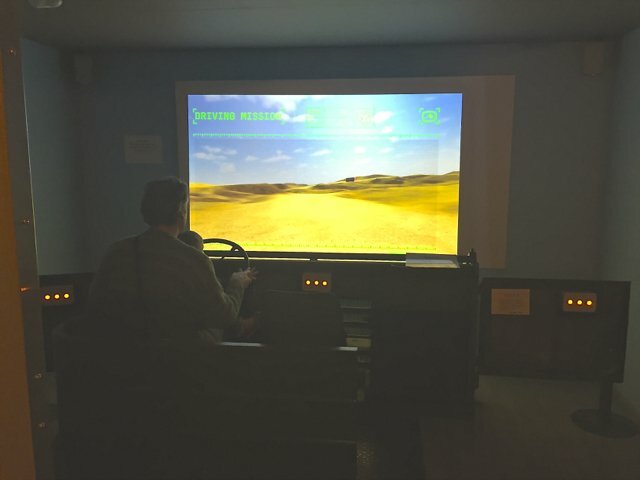 Drive your truck across terrain, avoid enemy fire and keep your crew safe! A favourite with all, from the very young to those with years of wisdom and expertise to draw on. 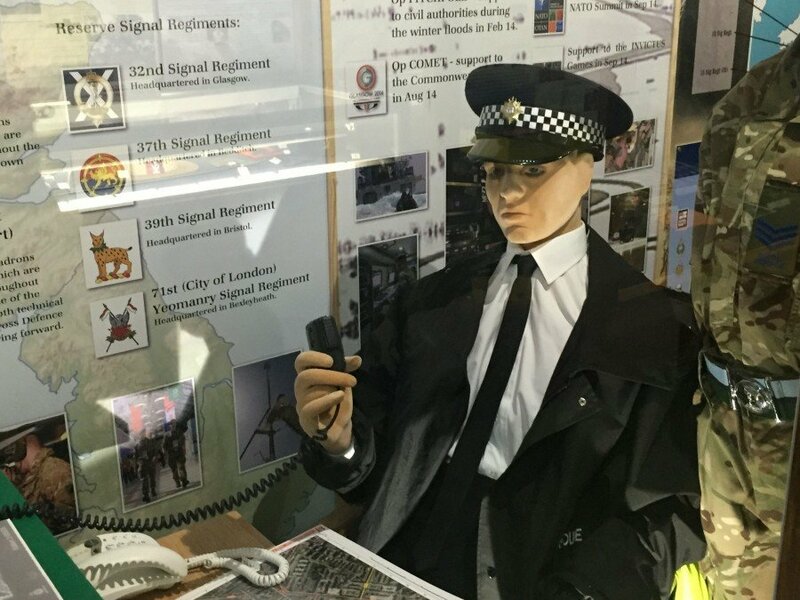 Visit the museum to examine the essential work of The Royal Signals on operations including secret and humanitarian missions at home and overseas. See equipment used including spy pens and listening bugs. 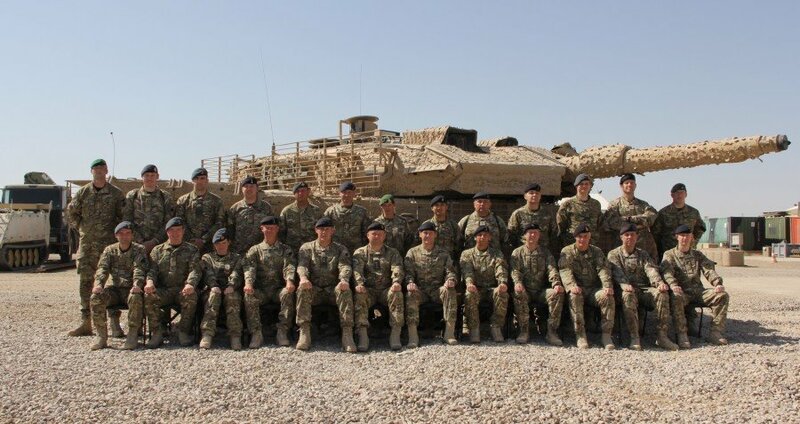 Find out more about involvement in recent activities including operations in Afghanistan, (Op Herrick) supporting the UK during floods (known as Operation or Op Pitchpole) and keeping everyone connected during the ebola crises in Africa.